Iran — according to the CIA, the IAEA and Mossad — does not have any nuclear weapons. 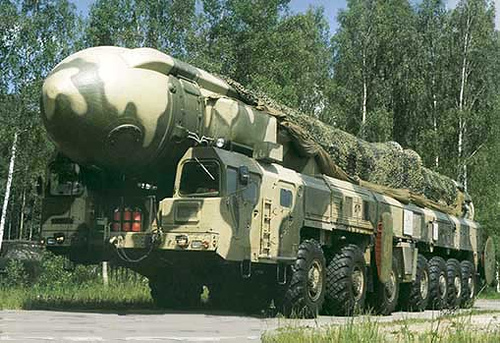 In 1985, 39,000 Soviet nuclear warheads were pointed at the rest of the world, enough of them ready on push-button alert to destroy the United States near-instantaneously and many times over. Certainly, Americans are free to be concerned about whatever they want. But let’s just say that a 39,000 warhead disparity — as well as the fact that the Soviet Union was one of the largest, most powerful militaries in world history, and one that successfully defeated Nazi Germany, while Iran’s last war with Iraq ended as a pathetic stalemate — puts today’s reality into perspective. Does Israel Seriously Believe Iran is a Threat? 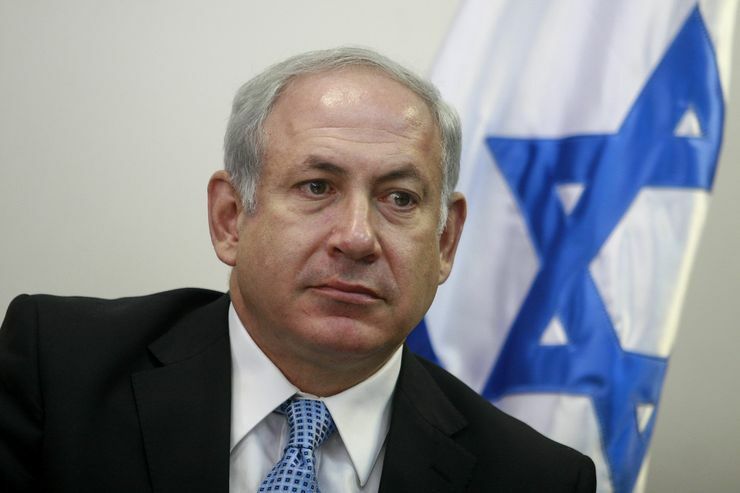 Israeli political sources believe that Prime Minister Benjamin Netanyahu has majority Cabinet support for Israeli military action against Iran without American approval. Really? 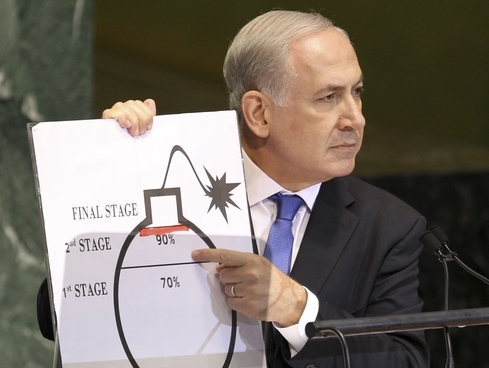 Is second-strike-capable 200 megaton Israel really afraid of piddly little Iran? Do they not understand that Iran cannot lay a (nuclear) finger on them, for fear of sheer nuclear obliteration? For all the verbiage thrown at determining whether or not Iran is “rational”, and despite the obvious fact that there are many “rational” people like Meir Dagan in power in Israel, perhaps we should have looked more closely at the question of whether the Israeli cabinet is “rational” or not. Does the possibility of creating a wider war not trouble them? Did they not pay attention to the recent bellicose statements from other Eurasian states in support of Iran? Do they — unlike the Israeli public — honestly believe that a war with Iran can be won without regime change in Iran, and do they believe they have the time, the resources, and the manpower to achieve such a thing? Do they honestly believe that the United States under Obama will back-up an Israeli attack on Iran, should a larger power move to support Iran? Do they honestly believe that the rest of world will be happy to see oil prices spiking as a result of an Israeli attack? Do they honestly believe that Israeli public opinion will countenance more resources being spent on war, and less on health, housing and public services? In light of all these problems, I find it hard to believe that Israel will hit Iran. I believe instead that Israel and America will continue their covert war against the Iranian regime and hope to foment an Arab Spring-style revolution in Iran. But that is to assume that Netanyahu and his cabinet are rational. Maybe they want a big, dangerous and scary war that imperils the Jewish state? I have, these last few months, been documenting the current state of geopolitics —specifically the growing isolation of the West, the ditching of the dollar as the global reserve currency, the growing unity between the authoritarian Eurasian nations, and the brewing storm in the middle east between Israel and Iran. The Eurasian powers — centred around the troika of Russia, China, and Iran — continue to ransack the dollar’s legitimacy as the global reserve currency. Some American strategic thinkers argue that Chinese policy pursues two long-term objectives: displacing the United States as the preeminent power in the western Pacific and consolidating Asia into an exclusionary bloc deferring to Chinese economic and foreign policy interests. In this conception, even though China’s absolute military capacities are not formally equal to those of the United States, Beijing possesses the ability to pose unacceptable risks in a conflict with Washington and is developing increasingly sophisticated means to negate traditional U.S. advantages. Its invulnerable second-strike nuclear capability will eventually be paired with an expanding range of antiship ballistic missiles and asymmetric capabilities in new domains such as cyberspace and space.China could secure a dominant naval position through a series of island chains on its periphery, some fear, and once such a screen exists, China’s neighbors, dependent as they are on Chinese trade and uncertain of the United States’ ability to react, might adjust their policies according to Chinese preferences. Eventually, this could lead to the creation of a Sinocentric Asian bloc dominating the western Pacific. The most recent U.S. defense strategy report reflects, at least implicitly, some of these apprehensions. Both sides should be open to conceiving of each other’s activities as a normal part of international life and not in themselves as a cause for alarm. The inevitable tendency to impinge on each other should not be equated with a conscious drive to contain or dominate, so long as both can maintain the distinction and calibrate their actions accordingly. China and the United States will not necessarily transcend the ordinary operation of great-power rivalry. But they owe it to themselves, and the world, to make an effort to do so. But — in reality — American and Western policy is nothing like as respectful toward China as Kissinger might hope. The last hope for American imperial hegemony is to bring the Arab Spring to Moscow, Beijing, Tehran, and Islamabad. And — for all the hullabaloo about war with Iran —the Arab Spring model is the State Department’s last best hope for maintaining American primacy in the face of (as Tyler Durden puts it) insolvency. War, proxy war, or trade war with the Eurasian powers is too costly, too risky, too open-ended for America today. Jeffrey Goldberg Calls For War With Iran? Jeffrey Goldberg, foreign policy hawk, is making the case for some more “liberal” interventionism. 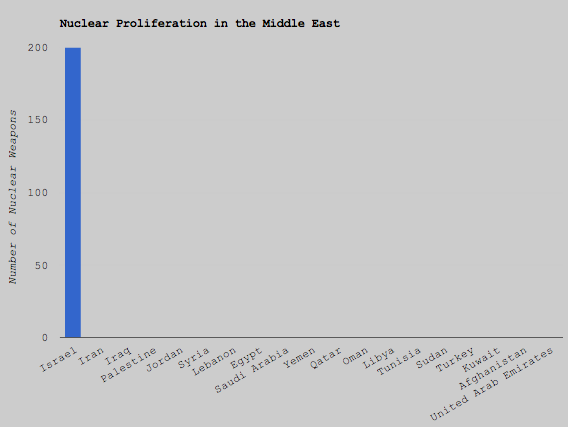 An Iran with nuclear weapons may be unbearable for Israel. It would further empower Israel’s terrorist enemies, who would be able to commit atrocities under the protection of an atomic umbrella. It would mean the end of the peace process, as no Arab state in the shadow of a nuclear Iran would dare make a separate peace with Israel. And it isn’t too much to imagine that some of Iran’s more mystically minded leaders, mesmerized by visions of the apocalypse, would actually consider using a nuclear weapon on Israel — a country so small that a single detonation could cripple it permanently. The Israeli prime minister, Benjamin Netanyahu, who once told me he believes that Iran is led by a “messianic, apocalyptic cult,” is correct to view Iran as a threat to his country’s existence. [President Barack Obama] has said, repeatedly, that an Iran with nuclear weapons is unacceptable to the U.S. Many Israelis, and many Americans, think Obama is soft on such matters. But I believe, based on interviews inside and outside the White House, that he would consider using force — missile strikes, mainly — to stop the Iranians from crossing the nuclear threshold. Saddam Hussein never gave up his hope of turning Iraq into a nuclear power … There is some debate among arms-control experts about exactly when Saddam will have nuclear capabilities. But there is no disagreement that Iraq, if unchecked, will have them soon … There is little doubt what Saddam might do with an atomic bomb or with his stocks of biological and chemical weapons. The trouble is, no evidence was ever found that Saddam Hussein had any weapons of mass-destruction. But that didn’t stop the military-Keynesians who steamrollered into Baghdad before embarking on almost a decade of wasteful, expensive occupation at cost to the American taxpayer. There is consensus belief now that Saddam could have an atomic bomb within months of acquiring fissile material. … The administration is planning today to launch what many people would undoubtedly call a short-sighted and inexcusable act of aggression. 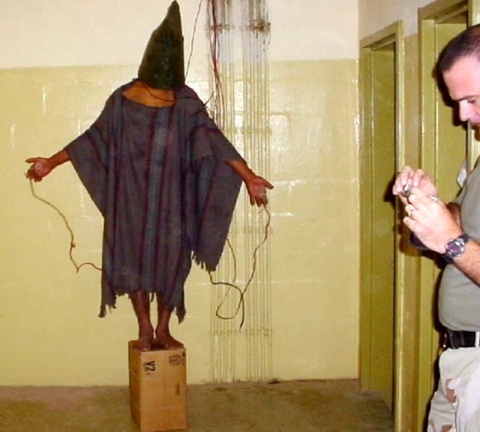 In five years, however, I believe that the coming invasion of Iraq will be remembered as an act of profound morality. Because, of course, war, imperialism, torture and mutilation are “profoundly moral” acts. For those with strong stomachs, here’s some more explicit pictures of that “profound morality” guiding American “liberal” interventionism. Goldberg was wrong about Iraq, and he’s wrong about Iran. Far from plunging the middle east into the throes of war, an Iranian nuclear weapon could very well stabilise the region under the shadow of mutually-assured destruction — the same force that stabilised relations between the Soviet Union and America. The big difference, though is that with Iraq there was no threat that any “liberal” interventionism would spill over into a wider regional war.